If you have played and loved side scroller games like “Jetpak Joyride”, then you most probably will like this game as well. Mobigame has recently released ‘Zombie Carnavale’ on the Appstore and the game merges both interesting elements in one; auto running + zombies. Beginning with a single zombie running through the streets, chase down the living and add them to your chaotic procession of dashing undead. The more people you bite and add to your ranks, the longer the Zombie Carnaval can charge across the planet, eating everything in its way. 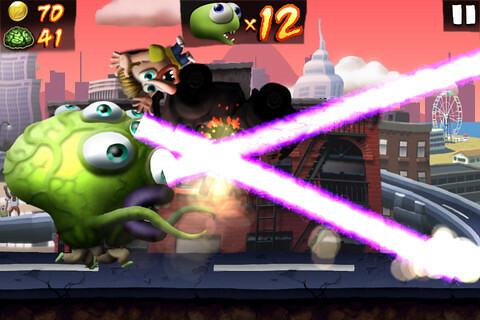 Devour the bonuses and power-ups to activate the Giant Zombie with multiple lasers shooting out of its many eyeballs, sneak around the cities as a netherworld Ninja, or clone members of your zombie hoard with the UFO. 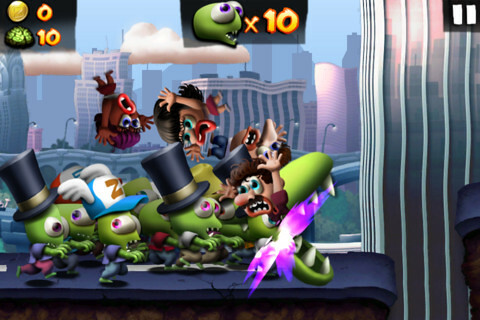 • Add as many zombies to your hoard as you can. • Frantic flesh-eating fun for all the family! • Keep going as long as at least one zombie is still running (and it doesn’t have to be the zombie you started with). 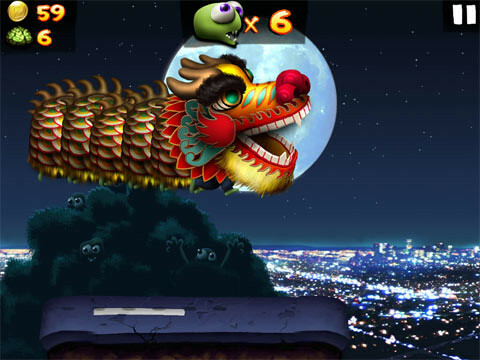 • Collect six different power-ups and bonuses to run further and destroy more. • Turn over cars, buses, vehicles and tanks to eat the survivors inside. • Sixty different missions to devour. • Seven worldwide locations to stampede your zombies through. • Optimized for all models of iPhone, iPod touch and iPad. Check out the video below. ITS AWESOME I TELL YA!